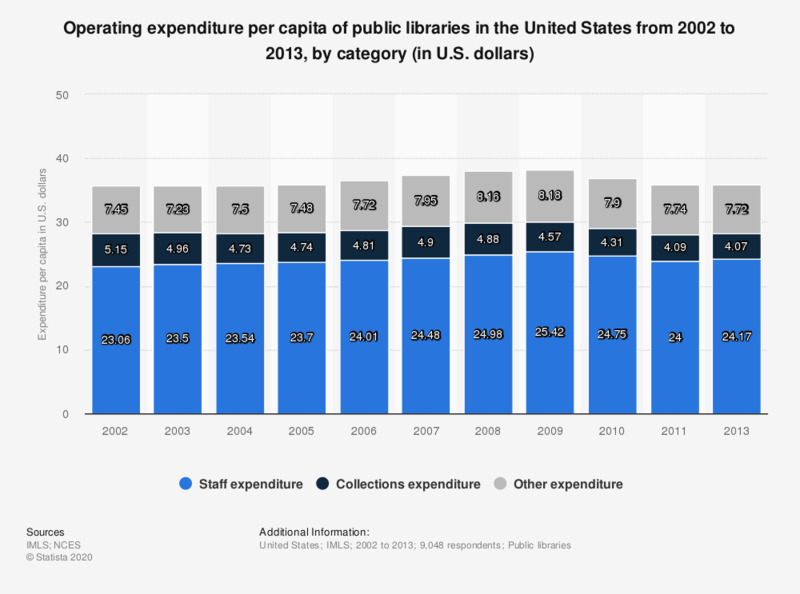 This statistic shows the operating expenditure per capita of public libraries in the United States from 2002 to 2013, by category. In 2011, staff expenditures cost public libraries 24 U.S. dollars per capita. No data was available for the 2012 fiscal year. In the last twelve months, have you done any of the following things in a public library?